Electrical wires removed for visualization sake. Imagine the classical movable mannequin takes on a whole new form and style. 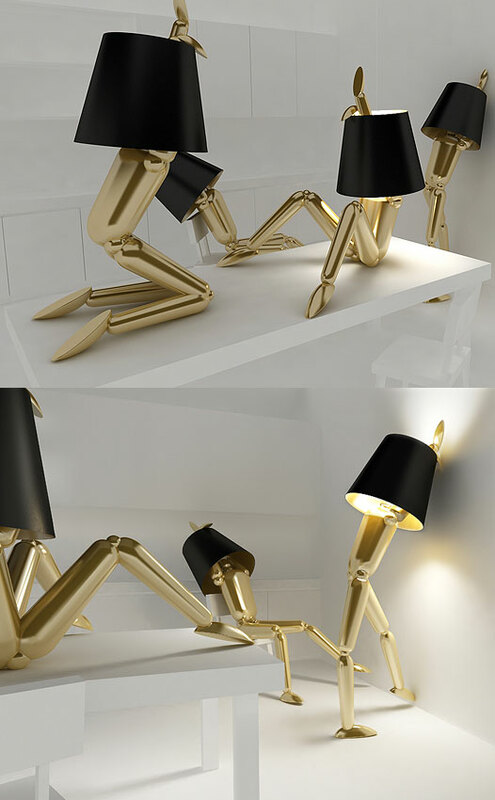 The classical lamp has evolved much over the years but what if this lamp allows your imagination to run wild? And every movement of joint is at your control? What will the evolution be? The results may be controversial, provoking or elegant. Finished in gold plating for a touch of exquisiteness.